A system enabling cockroaches to locate trapped disaster victims is in development by researchers from North Carolina State University. 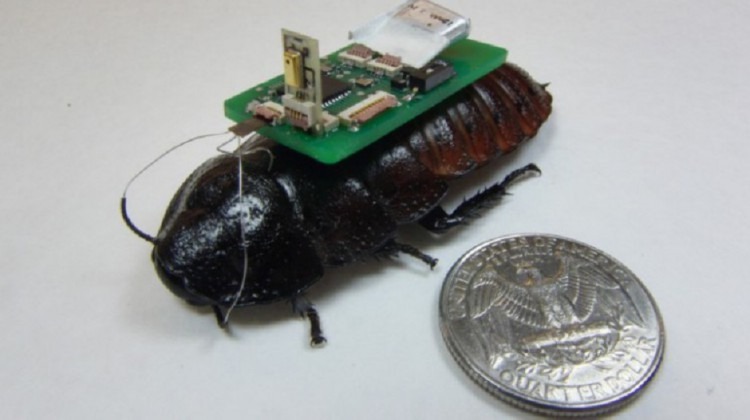 Based on the findings of Dr. Alper Bozkurt and his team, each “biobot” consists of a Madagascar hissing cockroach that carries a “backpack” equipped with a microchip, wireless receiver/transmitter, and microcontroller wired to the insect’s antennae and cerci. 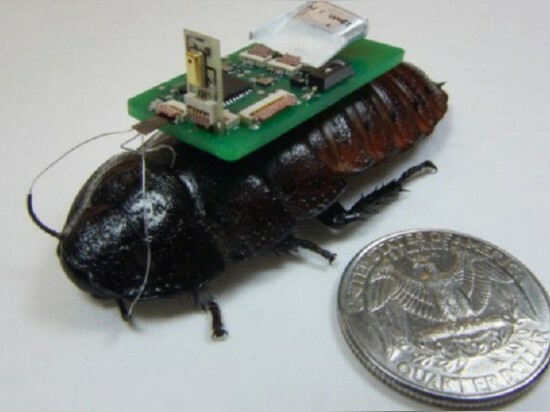 The cerci are sensory organs in the insect’s abdomen able to detect air movement and warn of potential predators, but when stimulated by the microcontroller instead they signal that something is approaching from behind and cause the cockroach to scuttle forward. Stimulating either of the antennae allows movement to be manipulated as well. 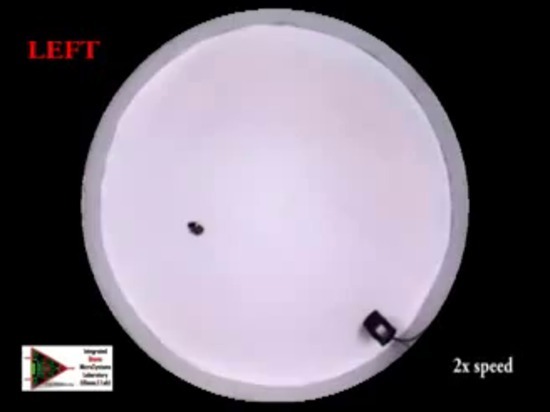 When one of the cockroach’s antennae brushes against an unyielding object, it knows it can’t move that way and will change course, but a small electric charge can achieve the same reaction and steer the insect in the desired direction. Human operators as well as a Kinect-equipped computer have previously used the system to guide the biobots by wireless remote control, though an array of three-directional microphones was added to each cockroach’s backpack in the most recent study. Software was able to determine the location of sounds based on an analysis of those each mic picked up and steer each biobot accordingly. Researchers hope that equipping biobots with a single high-resolution mic could eventually help them distinguish victims’ voices from other noises at disaster sites. Cockroaches wearing these mics could then be activated to seek out the source of detected voices, allowing rescuers to track them through transmitters and establish victims’ whereabouts.